After Maggie’s adjustment and thermal blanket treatment yesterday afternoon. I can report she passed a motion early this morning quite naturally. After being constipated for 4 days, and despite having an enema by the local vet, which did nothing. She then fed on some grass, and threw up a lot of bile. I want to thank you on behalf of the dog, and for myself (what a relief). P.S. I also meant to tell you when I introduced celery into her vegetable meals, as you suggested, she stopped scratching. We just wanted to say a huge thank you to Garry for helping our beautiful Shih-tzu dog Dottie. Dottie was diagnosed with Cushings Syndrome around 15mths ago and the side effects from the medication were making her quality of life miserable. We travelled from Tenterfield 4.5hrs away to see Garry and with his advice on changing her diet and the magnetic mat treatments we were able to reduce her medication to a much lower level. She is now back to her bubbly, bossy self and her quality of life is so much better. We have also brought some of our other small dogs to see Garry and from diet changes and an adjustment they are all looking so much healthier and happier. Thank you Garry. What can I say about Gary. I reckon the bloke’s a bloody marvel. My ten year old and very active border collie (Millie) managed to partially sever or crush her sciatic nerve, probably while jumping about and doing what border collies do. The poor girl was in huge pain and virtually unable to walk. While standing she would simply fall over because she had so little control of her back legs. Viewed from above her spine kinked off at about 30deg to the right. XRays showed the damage and also that she also hadn’t voided her bowel in about a week. The vet’s diagnosis was not good – a major operation with no sure results or put her on pain killers until I put her down. I could see in Millie’s eyes that she didn’t want to live either. A friend happened to mention that she had heard of a dog chiropractor who may be able to help. I gave Gary a call. Gary agreed to have a look at her but after seeing how bad she was he didn’t seem too confident in a recovery. After Gary’s first session Millie staggered from his table over to the garden and passed solids for the first time in over a week. We worked on her five days a week for about a fortnight, alternating between Gary and a canine hydrotherapy pool he recommended. He also put Millie onto what he calls ‘muesli’, which I think looks and smells something closer to horse feed than dog food. Well, that was all some months ago now. Millie is still on her ‘muesli’ and continues to get better every week. She’s running (at about half speed), swimming, walking up stairs and generally living a dog’s life. She makes no attempt what-so-ever to jump so she’s still aware that things aren’t right, but she is happy and pain free. Is Millie cured? Nope. Will she ever be 100%? Nope, but she’s in a heck of better place than where she was heading. I have wanted to email you and let you know what an absolutely amazing transformation the “Bark Natural” you gave me as a food additive has made to the health of my dog Kodak. My Bordeaux suffered from skin problems as far back as I can remember. His skin condition was labelled as an allergy and I was told that I could manage it with cortisone. He itched and he smelled. Expensive shampoos were used in an attempt to manage his problem and he was medicated when his skin itching flared up beyond manageable. It was miserable. After 3 months of adding a quarter cup of “Bark Natural” to my dogs normal daily meal (which includes raw meat as well as dog biscuits), with a splash of apple cider vinegar, I began to notice how his skin was looking shiny. He had no red rash under in his armpits from scratching as well as no more red spots or dry sores on his fur. Friends have all commented on his superb condition, lack of oily skin and his lack of doggy odour. I am so happy. Something so easy to do has saved him from years of suffering. I highly recommend adding the dry mix to your dog’s food. Mixed up in their food with some pet mince or gravy, the “Bark Natural” has changed Kodak’s life and our lives. We have solved his problem with no medication and hopefully extended his life over one likely to have been shortened with the regular use of cortisone. Hi Garry,I know it’s only been a couple of days since you worked on Angus,my Lhaso Apso x Shitzu,he is almost his old self again,he is getting much stronger in his left leg,great work mate,like us humans,you can’t beat Chiropractic,Angus sends a big lick,he is very happy,cheers mate. I have been taking my Dobermann, Beau to Garry since May 2009, he was diagnosed with Wobblers & I was told he will need an operation as he will only get worse. He was x-rayed which also revealed disc damage to his lower back & severe arthritis to the point that several of the discs in his neck were fused together. 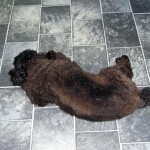 After his first session with Garry at the Dog Chiropractic Therapy Centre the difference was amazing. He was zooming around & wanting to play again, as well as sleeping better. 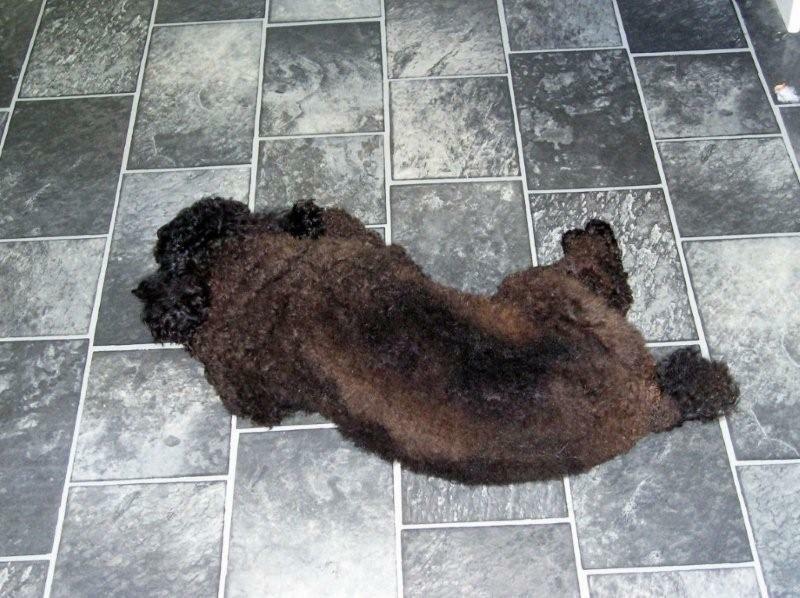 Beau is now 11 years old and has regular maintenance sessions which include magnetic therapy, laser therapy & massage. Thanks to Garry’s great work & intuition, my baby is a much happier dog. Thanks for the work you did on that shoulder. Going the best she has gone for six months or more. The brindle dogs toe has had no more problems either. I had been thinking of taking my little dog Jessie to a Dog Chiropractor for months when I was lucky enough to meet Garry’s wife, Leica who gave me his number. We have had Jessie at the vets a couple of times where is has ended up on anti-inflammatories which I knew was not something that was sustainable for the rest of her life. After Jessie’s first session I already saw an improvement in her movement. Garry explained Jessie has arthritis and patella problems in both her back legs. After treatment on the magnetic field therapy mat and the inital chiropractic adjustment, she is a different dog! Her arthritic pain has reduced considerably, her patellas have improved out of site and her appetite has returned. Jessie is 10 years old, so my goal for her was to improve her quality of life, which has undoubtably happened. I took her to a local park last weekend and she played like she did when she was a puppy. Thank you so much Garry! I have a Labrador called George who has suffered from inflamed joints, back pain, knee pain and now arthritis. In 2009 I discovered Garry Pitt. This man is nothing short of a miracle. From going to vets whose advice was to rest him or operate on him. Then I found Garry. Garry looked at George, felt his spine, made an ‘hmmm’ noise and then adjusted my dog’s shoulders and back – George was like a new dog! I could immediately see an improvement, much like we as humans feel when we attend a chiropractor. I have taken my dog George to Garry in the intervening years whenever he was injured or not quite himself. Being a Labrador, my dog is prone to excess weight. With Garry’s guidance and knowledge, he devised a diet for George to lose the weight. George has now lost 11 kgs – an amazing amount for a dog! Recently, George injured his hind leg AND front leg both at the same time. I was inconsolable and did not know what to do. With Garry’s no nonsense approach – he immediately set to work putting George on the magnetic blanket and using ultraviolet therapy on the injured limbs. This was just four short weeks ago and with Garry’s treatment George has improved incredibly and we are now once again able to walk daily. I honestly don’t know where we would be without Garry, I truly thank him for helping to give George quality care and a new lease on life and giving me George’s owner peace of mind that I know that I could not find any better care for him! Big thanks to Garry Pitt of the Dog Chiropractic Therapy Centre, who worked his magic on BFR’s Mercedes this afternoon, and a special thanks to her carers who drove her across town for her appointment, showing a lot of dedication to helping her out. Mercy had been showing some pain, discomfort and weakness in the back-end, but one treatment with Garry and she is now bouncing off walls! 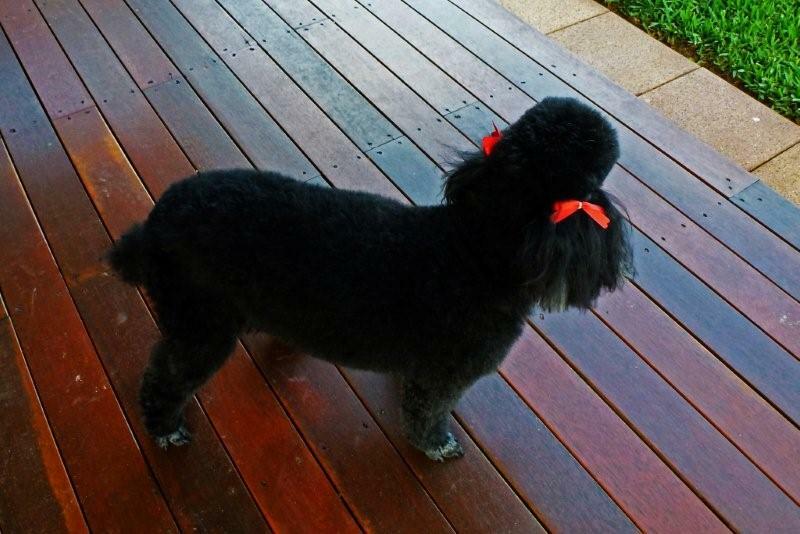 We began taking our black poodle Bonny to Garry Pitt in early September 2012 as she was having trouble with the coordination of her hindquarters. Our local vet thought she had probably pulled a muscle and put her on a course of anti-inflammatory tablets. Several weeks later the problem had not improved, so we sought Gary’s advice and he recommended ongoing treatment of magnetic therapy. We’ve found this to be very beneficial and her movement has improved enormously. During the treatment Garry commented on the fact that her coat was very sparse and dull, and in fact completely hairless in some places. We explained to him that she had been that way for a very long time, and that we had sought the advice of both our vet and a dermatological specialist who were both mystified by her condition and had no solution to offer. Garry suggested we change her diet of canned dog food to one of raw mince and a supplement called ‘Bark Natural’. Within weeks we noticed a huge difference in the condition of her coat. The colour had much more depth, the texture had lost its dull dry feel and to our amazement hair had started to grow back in places where it had been bald for years. My husband and I would like to thank Garry for his all his help and advice with Bonnys various problems, and cannot recommend his treatments highly enough. Just before Christmas 2017, my 11 year old golden retriever has a fall and noticeably hurt his back. I took him immediately to the vet who prescribed rest and anti-inflammatory medication. Although he initially appeared to improve, by the beginning of January we were becoming increasingly concerned about his mobility and his pain. The vet thought he most likely had sciatica and prescribed numerous (and costly) pain killers for him to make him comfortable. These did give Koda a little relief, but it was temporary, and we had to keep giving him more and more. Koda was unable to walk more than a few meters at a time it was heart breaking to watch. The heat of summer seamed to be making his pain worse. In an attempt to keep him cooler I took him to the groomer to shave his hair off. 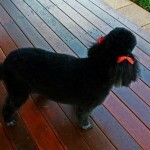 In tears I explained what was happening and the groomer suggested I try a dog Chiropractor she knew. She gave Gary a glowing review however, I held onto Garrys number for a few weeks terrified that an adjustment may make Koda worse. After a long hot week my husband and I made the decision that we needed to try Gary and if there was no improvement we would put Koda down. The first time I took Koda to see Gary for an adjustment was hard as Koda was so sore already he (and I) cried through the entire adjustment. The improvement from that first time was only slight but it was the first sign of any hope in months. Over the following few weeks koda improved slightly with each visit and Gary also suggested we also put Koda on a raw food diet. We included in this diet “Gary’s muesli”. Within three weeks Koda was standing taller and was able to walk further. During that time, I was also able to ween him off all of the medications he was on. His mood improved without the meds and he was more alert and playful, and I no longer felt he days were numbered. Koda continues to improve slowly. He sees Gary every 2-4 weeks depending how Koda is going. He has always had an issue with his back legs which probably contributed to his fall in the first place and I only wish I had got him this help when he was younger so he may had gotten better gains from the treatment. He is an old dog and any small gain is a huge win and we are so pleased he is still with us. I can confidently say without Garry’s adjustments, acupuncture and magnetic treatment he would not be with us. Koda is not always fond of the adjustments but its worth it to see him playing with our other dog and wagging his tail when he sees us. Thanks Garry, from our whole family. Kind Regards Nat. Brenten Uren That’s fantastic ,yes Gary is brilliant,a few years ago my Lhaso Apso put his hip out,the vet said that he had a disc out according to the X-ray,I pulled the X-Ray’s out myself when I got home and it didn’t seem right to me,it looked as if his hip was out,so I found Gary on the Internet,gave him a call,I took the dog to Gary with the X-rays ,Gary confirmed what I had suspected,one adjustment,my dog was was back to his old self,and walking normally,he had three follow up visits,I spent less money with Gary than I did in one visit to the vet,I highly recommend this guy.